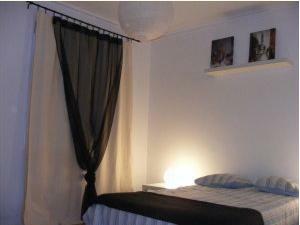 This property is excellent value for families and groups with rooms available for upto 6 people. The rooms are clean and equipped with basic, wooden furniture as well as all basic amenities. Staff are available 24-hours. Furnished with basic, traditional furnishings, each room at AC Guest House ( Residencial Marfim) radiates a unique charm and has its own private bathroom. Watch TV in the comfort of your room. Comfortable beds await you after a long day of sightseeing. The ''Superior Rooms'' are located in a building at Praça da Republica, at just 150 meters from or main house. Open 24 hours, that Guest House is a great base for those hoping to explore the city by foot. Your car can be parked at a nearby location. 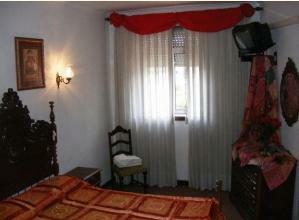 Furnished with basic, traditional furnishings, each room at AC Guest House ( Residencial Marfim) radiates a unique charm. Watch TV in the comfort of your room. Comfortable beds await you after a long day of sightseeing. Each room is provided with its own bathroom. Each room is equipped with traditional wooden furniture and each contains its own bathroom and television set. 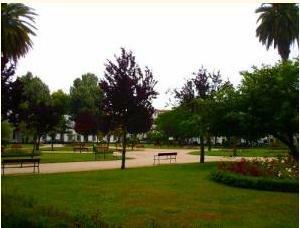 Cedofeita is a quiet area of Porto slightly to the North of the city centre (5 minutes walk away), close enough to be convenient and yet far enough away to be calm. Cedofeita itself has many cafes, restaraunts and bars set amongst the leafy squares and typical Porto streets. One night will be charged in case of failure to notify of cancellation within 48 hours of arrival. From Lapa Metro Station; Turn right out of the station and follow Rua da Manutenção until the junction, turn left onto Rua do Melo, turn left again onto Rua das Águas Férreas, continue straight on Travessa da Figuerôa, turn left onto Rua Alvares Cabral, you will find AC Guest House (Residencial Marfim) on the left hand side. From the airport; take the metro in the direction of ''Estadio Dragao'' and exit at the ''LAPA'' station (15 minutes), from here follow above directions. From Campanha Train Station; take one of the 4 lines and exit at ''LAPA'' station (5 minutes), from here follow the above directions. Train to Campanha, Metro to Lapa, Bus. Nearest airport: Aeroporto Francisco Sá Carneiro, 14.8 km.